The style of your home can greatly impact your overall enjoyment of being there. If, for example, you find that the flow of your home does not feel right, it can leave you with an unsettled feeling anytime that you walk through the door. One way for you to get more from your space and be satisfied with the results is by considering exterior French doors. This is a unique design option that can open up a world of possibilities. Here are a few things to consider about this type of door installation in Naperville. The way that French doors open completely changes the way you access a room. These are the type of doors that are meant to be thrown open. If you have a patio, deck, porch or terrace outside your home, then having doors that can be opened into the world can really make for a wonderful addition. Imagine entertaining friends outside, the doors open, letting in the gentle breeze of the season. It is a picture easily painted, and one that is even simpler to achieve when you consider exterior french doors. French doors are often tall and narrow. The frames on the door come in a variety of styles, but the doors themselves are almost always comprised of mainly glass. Due to this clever design, you can expect your home to be flooded with sunlight. Not only can this help you to insulate your home during the times of year when temperature fluctuates, it can also create a more bright and airy atmosphere within your home. If you find that the sun is too much, consider adding curtains or drapes so that you have a bit of control over how much light is coming in at a given time. 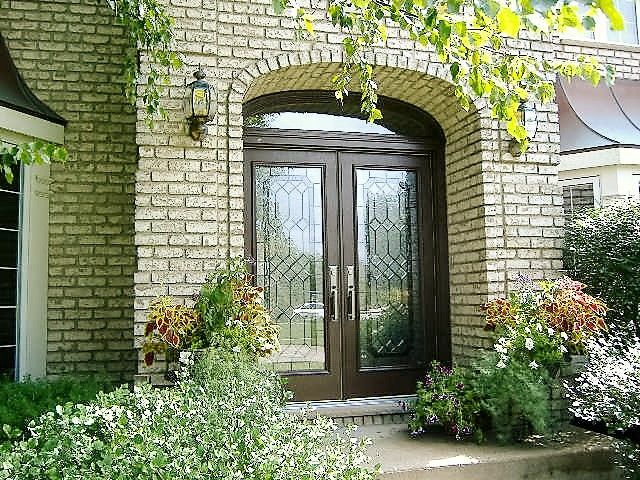 When you are thinking about door installation in Naperville, you would be remiss if you did not consider French doors. Explore your options and get ready to take advantage of the flow of your home.